Senior Advocate of Nigeria, Festus Keyamo, has challenged the credibility of the Rivers State Presidential Election. The Independent National Electoral Commission on Wednesday announced Atiku Abubakar as the winner of the Saturday’s presidential election in River State. Keyamo challenged the election result after the announcement at the National Collation Centre by Prof. Udo Essien, the Vice-Chancellor of the University of Uyo. The collation officer for the state had announced that Atiku scored 473,971 votes to defeat Buhari, who scored 150,710 votes. The senior lawyer in his reaction said the report of the State Collation Officer for the Presidential Election (SCOPE) in Rivers state was a source of concern to his party as the decision had adversely affected the votes of his candidate in the state. “Now by a combined reading of Sections 27 and 68 of the Electoral Act and Clause 30 of the INEC guidelines issued on the Dec. 21, 2018, it thus confirms that what the SCOPE has done is to constitute himself into an electoral tribunal to cancel the votes of Emohua which was attributed to us. “Because section 27 gives the power to make returns and to declare results to the local government collation officer and by section 68, the decision by the local government collation officer is final, that is the provision of section 68. “For the SCOPE to now say that he went back the next day to begin to investigate what happened, calling the ward collation officers and the state electoral officer to ascertain whether figures were correct and unilaterally decided to overturn the decision of the local government collation officer. 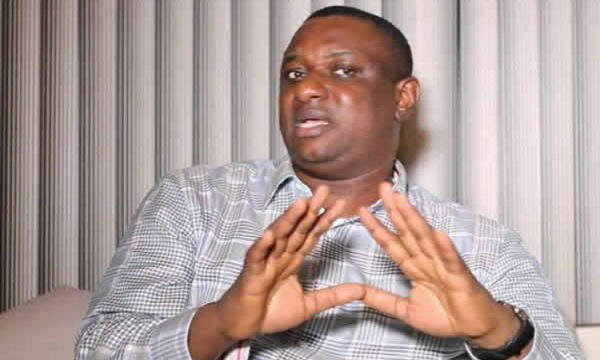 “Who gave him such powers to overturn the decision of the LGA collation officer whose decision by law is final and cancel our 72,000 votes to ensure we do not have the 25 per cent benchmark in Rivers state?’’ Keyamo asked. Prof. Essien, however, maintained his position on the issue, adding that his view is that as the SCOPE his job was to collate. “In the case of Emohua LGA, the collation officer brought his result, however, all the 15 ward collation officers wrote jointly to disclaim that they never collated anything as to transmit to the LGA collation officer to collate. “Even the Electoral Officer, who was supposed to supervise him, alluded to the fact that there were violence and interruptions, which prevented anything from being collated. “So, in the face of such strong and unanimous disclaimers, we were unable to accept the results. In all, therefore, collation was done in only 17 out of the 23 LGAs, with a total of six affected. “I have submitted all my reports with regards to the issue to INEC where the final decision on the matter will lies,’’ he said.